Lily advises local and foreign clients on a broad range of domestic and cross border property, banking and commercial matters. She also advises developers in Malaysia on property development related matters, the preparation of tender documents in relation to tender exercises conducted in Johor, and on joint-venture arrangements between several private limited and listed companies incorporated in Malaysia and in Singapore. 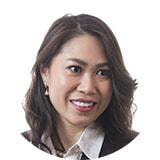 She is also involved in advising local and foreign investors on property transactions in the Iskandar region in Johor. Lily has experience in advising on the Malaysian laws and regulations governing the business operations of the Malaysian entities of foreign holding companies listed on the Singapore, Taiwan, Hong Kong and the People’s Republic of China’s Stock Exchanges. Lily is a Partner with the firm’s Nationwide Business Unit based in the firm’s Johor Bahru branch.